In a series of three blogs on the Simple View of Reading (SVR 1, 2, 3), I described three types of readers or reading profiles, but I didn’t major on the fourth profile of an adequate or good reader. Compensating readers usually have strong language comprehension skills and abilities, but they have a weakness in one or more of the key or basic skills needed for reading, such as phonemic awareness. As a result they are unable to match their reading comprehension skills with their strong language comprehension skills. However, they often go unnoticed because their reading comprehension scores fall into the average or just below average range and so they never receive the help they need. They often use their intellect to cover up their weaknesses, hence the term “compensator” to describe what they are doing. So what do good and compensating readers do differently, and what does that look like? ● Good readers are able to recognize a large number of words quickly and accurately without a great deal of effort. ● They figure out words that are unfamiliar by sounding them out, or by recognizing that they contain parts that they know from other words. They read fluently and with correct intonation. ● They read independently and are growing their background knowledge in a number of different topics and in their knowledge of language itself. Compensating readers on the other hand are still struggling to recognize and pronounce words efficiently. In other words, they have difficulty decoding, and because this skill is weak, they have to rely more on guessing words from the context. Dyslexic students for example don’t see the commonalities between words in terms of letter patterns or parts. Related words like “comply”, “reply”, and “imply” are all treated as different words. This means they have to separately learn every single word to which they are exposed, and often result to guessing when they read. This is an ineffective strategy, not least because compensating readers have more difficulty reading those context words. The good readers are better at decoding and so they are less dependent on context to figure out a word they don’t know. Instead of guessing which word might fit, the good reader quickly recognizes each word and combines it with what has come before. 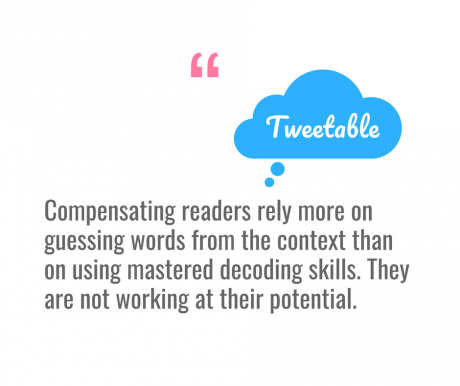 Why is it so important that we recognize and identify compensating readers? Well, these students find reading hard and maintaining their average reading comprehension comes at great personal cost. These students often don’t want to read and become frustrated and discouraged as reading tasks become harder with each successive grade level. They become what Dr Selznick terms “Shutdown Learners.” Some may begin to demonstrate behavioral issues, although the cause is often overlooked when the compensator’s achievement falls within the average range. To cap all this, these children are not performing anywhere near their real potential. So how do we recognize these compensating readers? Below are some common signs of a child who is compensating. 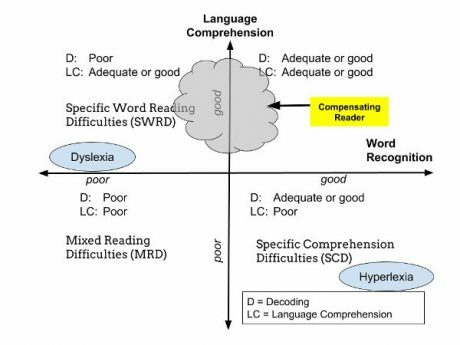 Remember that although many of these are also common to readers that are weak because of poor word recognition and reading comprehension, the compensator’s reading comprehension falls in the average range. These signs are seen in compensators despite what is deemed acceptable reading comprehension. It is also possible that not all these signs will be seen in a compensating reader. 1. Their intellectual skills are strong, but they have average reading skills. 2. Weak phonemic awareness skills. It is important to remember that this weakness may be the cause of a student having to compensate. 3. They rely very heavily on context to figure out words they don’t know. They are guessing based on context because they don’t have an adequately large vocabulary of words they recognize automatically. 4. They often forget words that they have learned in the past. When good readers learn words they are stored indefinitely. 5. They require many more attempts and exposures to indefinitely store words. 6. Compensators can often be poor spellers. 7. Their written expression is often poor. They communicate well, but not in a written form. 8. Irregular words are harder for them to figure out than regular words. 9. They show a pattern of difficulties in their reading related skills: Below average phonemic awareness and phonic skills combined with average to low average reading comprehension skills. Their word recognition score will usually be a little better than their phonemic awareness and phonic scores, but lower than their reading comprehension score. In his book, “Equipped for Reading Success,” Dr David A. Kilpatrick discusses the best tests to help identify compensators, and from these results he shows how it is possible to identify four different patterns of weakness they demonstrate. These can be used to select the most effective tools for remediation of children with each of these patterns. 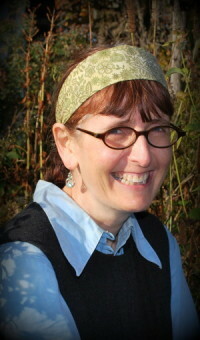 So, what can be done about the compensating reader? Again, we can turn to Dr David A. Kilpatrick for advice. Below, I have noted a number of effective remediation tools. Dr Kilpatrick implores us to work on their phonological awareness skills if those are weak, but if they have poor phonic skills he encourages us to develop their letter-sound skills to the point of automaticity. After this, he tells us we are going to need to undo inefficient word recognition habits. It is important to remember that a compensator has got where he or she is by compensating, not by developing orthographic mapping skills. This is the ability to quickly and easily make connections between oral sounds in spoken words and the letters in written words. Dr Kilpatrick gives us many examples of ways that we can “retrain” how the compensator approaches words. They need to know they must look at words differently in order to remember them. He dedicates a whole chapter in his book, “Equipped for Reading Success,” to developing orthographic mapping skills. Of course, prevention is far better than cure, so the earlier we are developing children’s orthographic mapping skills the better. To be sure that students have the skills necessary to start the mapping process when they learn to read, it is essential to develop both phonological awareness and letter-sound skills in kindergarten. The Orton-Gillingham Online Academy provide their Level 1 Basic Language Course, to train teachers, tutors, and parents to meet the needs of students with poor phonic skills. 3. Dr Richard Selznick. The Shutdown Learner.